Usually photographers avoid such topics… But sometimes they make an exception to draw attention to the problem and, as a result, to make our planet cleaner. 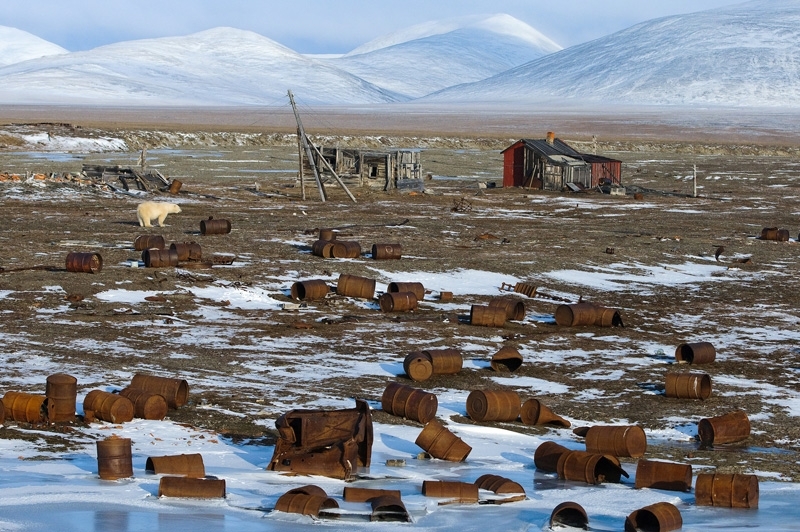 When you arrive at the Arctic Coast of Russia the first thing you can see is tons of garbage and rusty barrels. 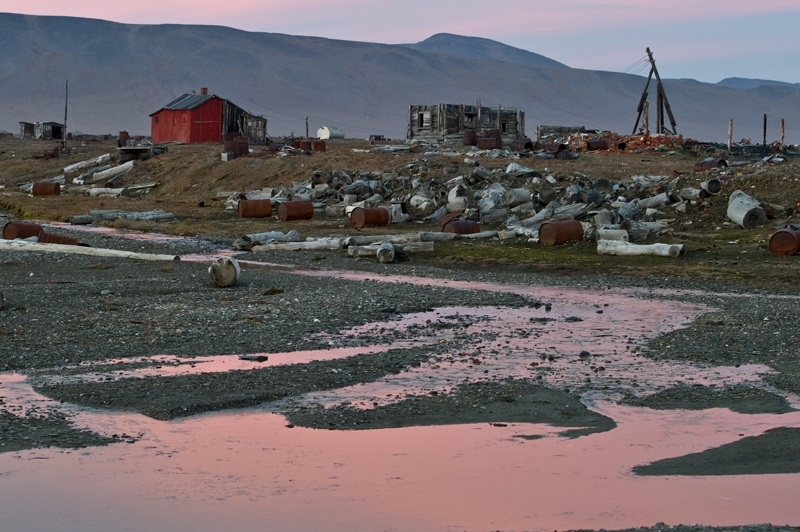 Any attempts of industrialization of the Arctic territories have always been accompanied by its terrible pollution. 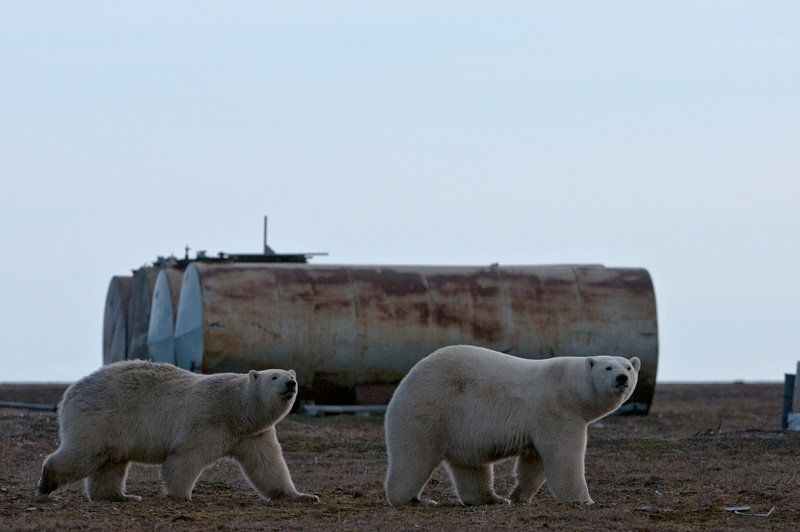 The Wrangel Island, also known as a maternity hospital of the polar bears. 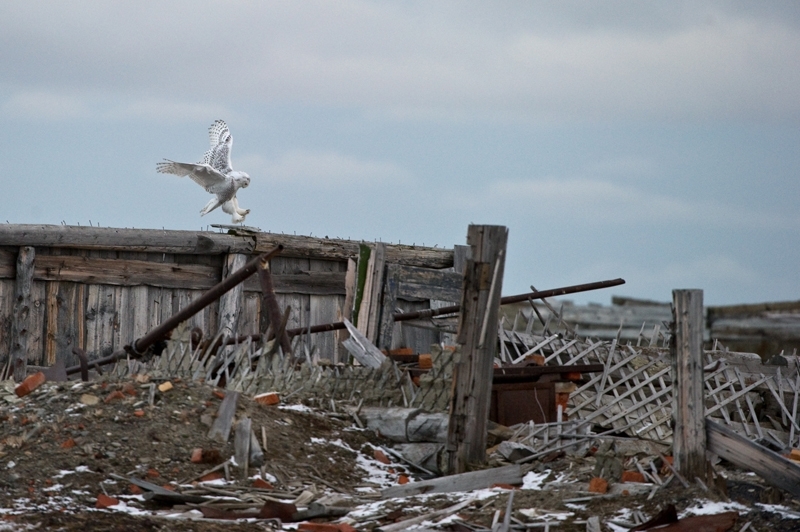 A great number of polar owls, white geese, brant geese, Arctic foxes, walruses and other animals live here. Today, safety of the natural resources of this island is provided by the absence of population. But earlier, the government tried to explore new territory using different methods. 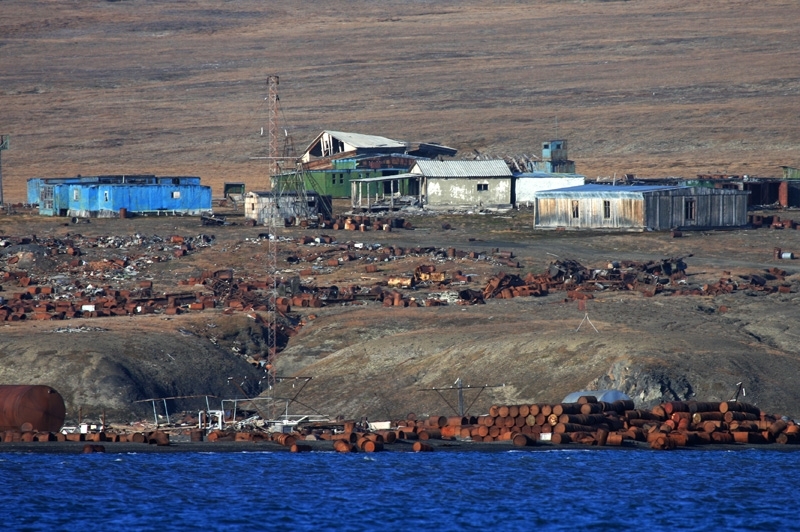 So a trading station, reindeer farm, military airdrome and anti-aircraft defense base have been built here at that time. Tons of fuel and lubricants, work equipment and food provision for 200 residents of a small village have been delivered to this place. But then people left it, and all the garbage and idle equipment remained on its junkyards. 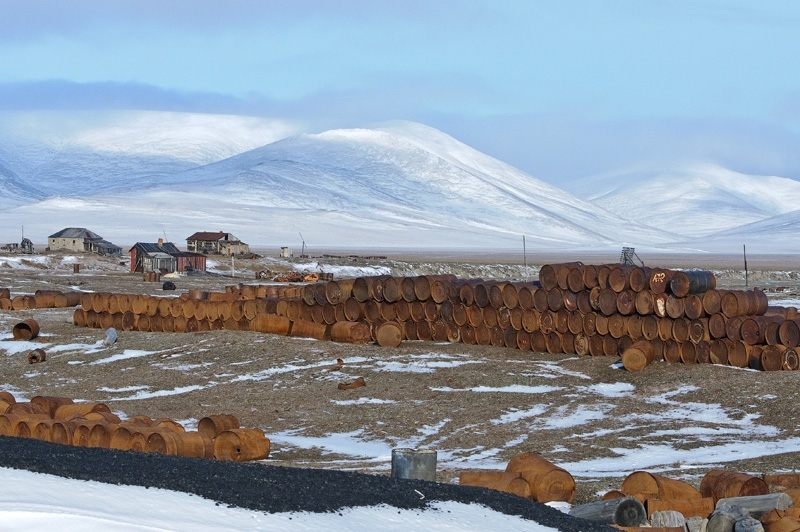 Sometimes empty barrels were taken out of the island by empty ships on their way home. But that was unprofitable because barrels should have been pressed on the shore before being loaded on the ship. The problem is that there are no presses on the island. 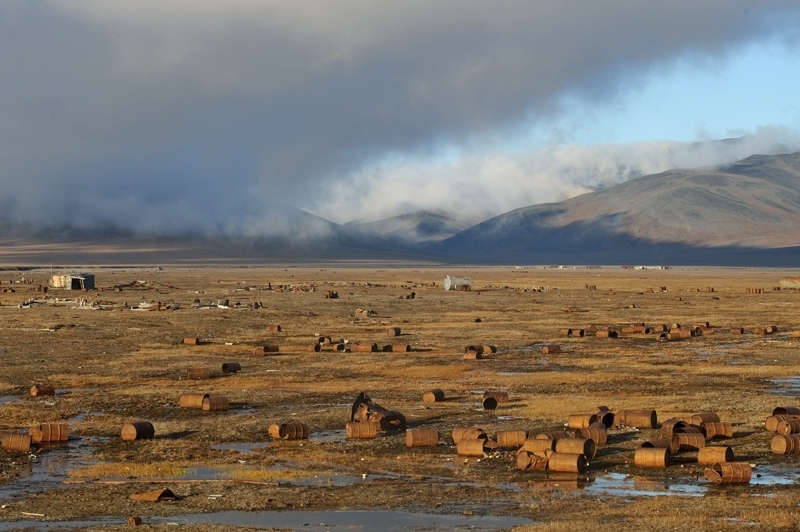 All scrap metal is concentrated on the South coast – the very place where all the organizations were situated. 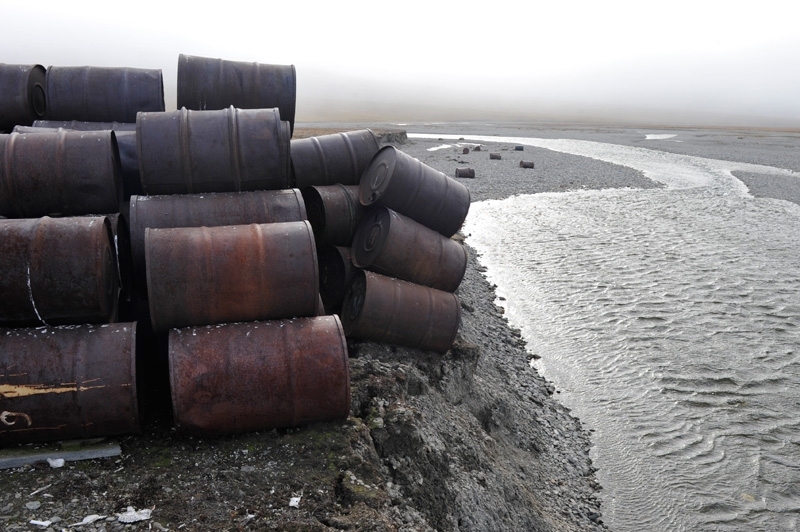 Nowadays most of the barrels became worthless but there are still some tonnes of gasoline, oil and diesel fuel inside them. 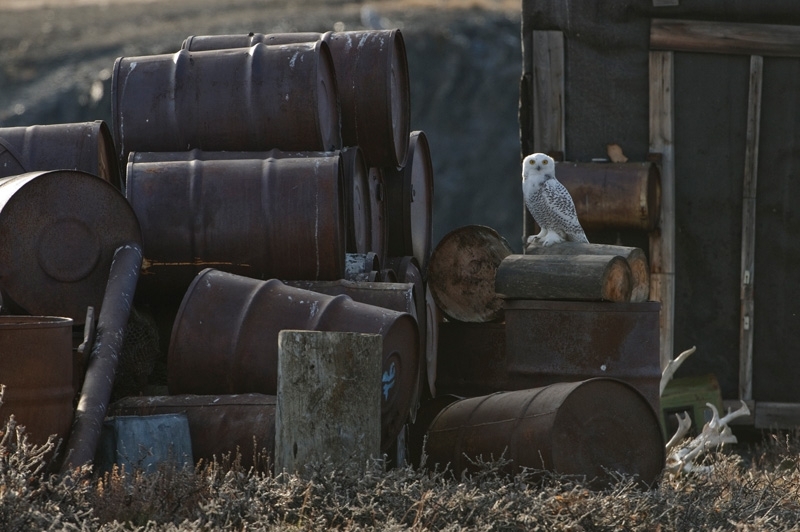 These substances leak from the rusty barrels and pollute soil. 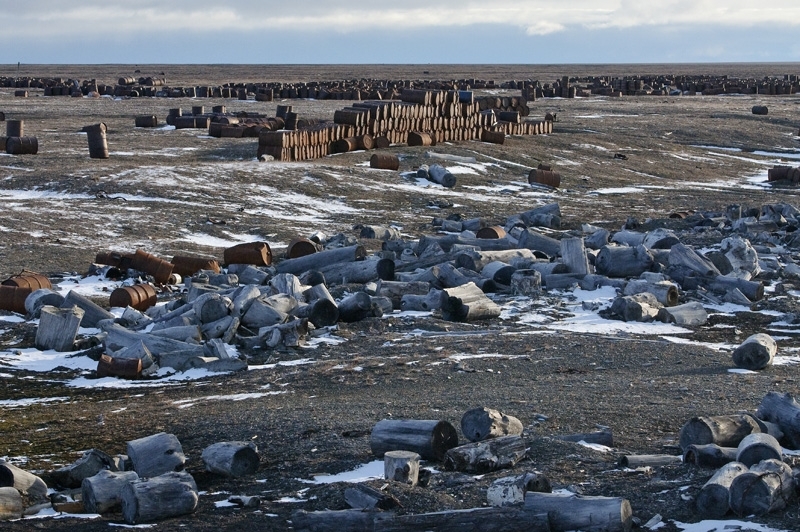 But rusty barrels do seem very harmless in comparison with hundreds of radioactive batteries used for powering navigational aids in the Soviet time. 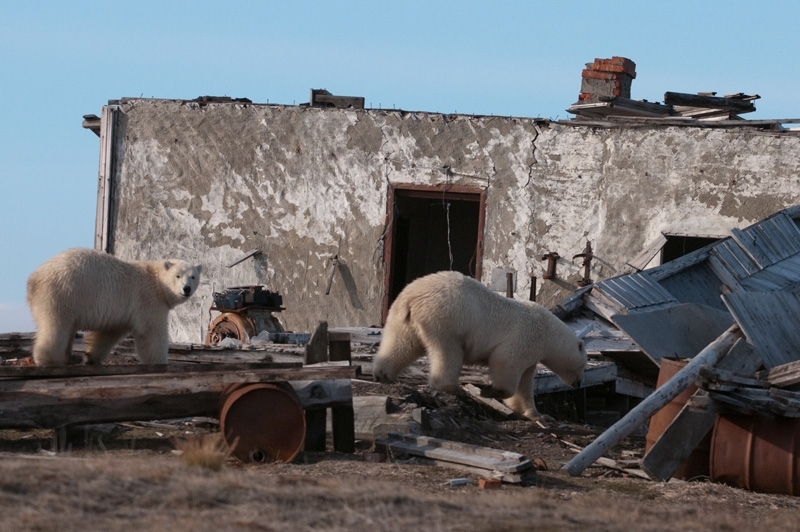 In 2004 the Wrangel Island was given a status of the area of World Natural Inheritance but with one condition – to clean the territory from the garbage. The workers of this nature reserve try to clean it by themselves but their efforts are not enough. 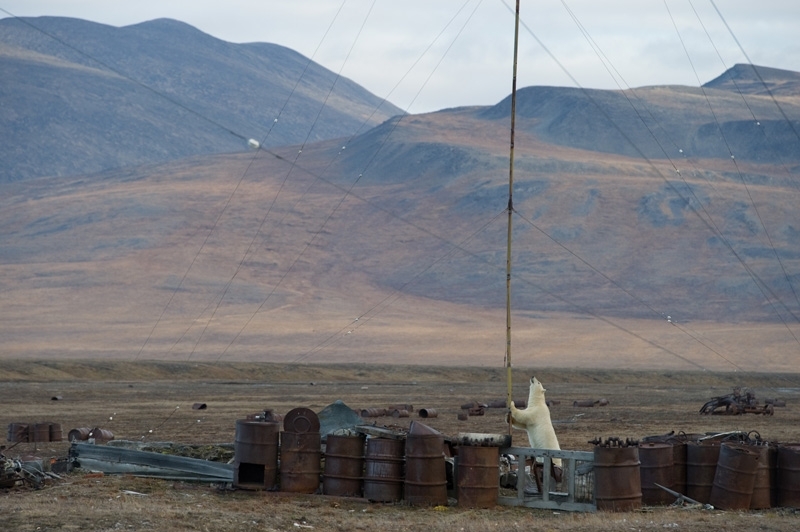 But the most ridiculous thing is that the Wrangel Island wasn’t included into the National Programme of Action for the Protection of the Arctic Marine Environment! Leave it to people to create such a mess. 🙁 With the price of oil I wonder if there is money to be made in salvage? I agree, the animals are perfect. Are there any volunteering projects to clean the stuff up ? Hello. I am in metal recyclings business. Please to refer me to owner of radioactive batteries. I want to pay the best price. Price is one hundred dollars per kilogram, buyer collects and cleans up the waste leakage, pre-payment into my private account please. There are 87 batteries each weighing 92 kilograms. 800,400.00 dollars plus tax. Interested? Is this really the true story of this place or is it just something you guys made up… again? Looks real enough to me. Mr. Putin has expressed concern regarding the Sigerian Tiger, I hope he will show as much concern for the bears, the symbol of Russia. Great!! Soon we will see some mutant bears & foxes emerge from there! Polar bears will have laser beams shoot out from their eyes & those cute little foxes will glow at night & shoot fireballs at their targets!!!!!! 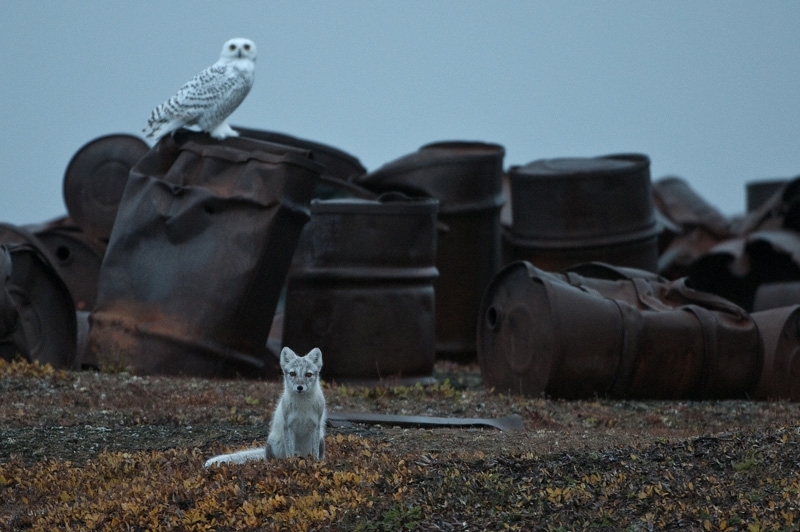 You really don’t have any clue to as the size of the arctic do you? 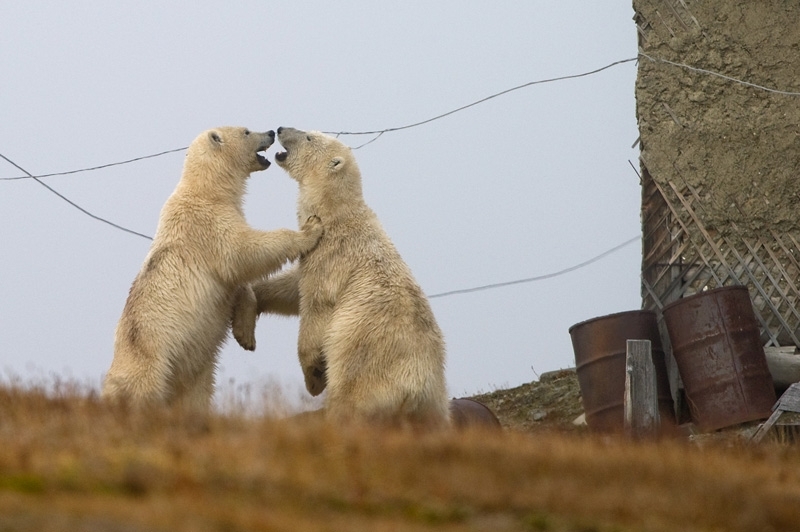 Polar bear numbers went up, not down in the last 40 years. I work in the north and there are more wild animals than ever before. Nobody hunts any more, not even the inuit. 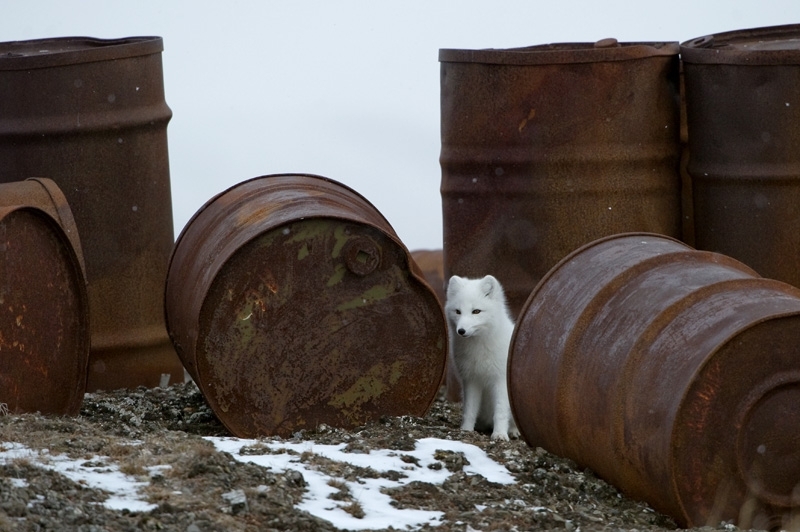 They prefer canned meat from the south, and because of the greenies they don’t trap for fur. Seems like a great place to open a barbeque grill manufacturing plant. All those barrels laying around. LOL why are they all over the place like this? Were they on top of snow, and melting caused the mess, or were they just carelessly discarded? How much is a pneumatic press, seriously? One can probably make one for the sole task of flattening this barrels for cheap, and make profit from all the metal hauled away. The pictures are sad… and also beautiful. Interesting, perhaps you could provide the coordinates for this location. I would be more than happy to add it to my map of places to visit one day. Damn,give the wrong one my reply 4 u,take a look above your comment. But the island marked in Google Maps doesn’t seem to be the right one– there are no buildings or junk piles visible in the satellite images.